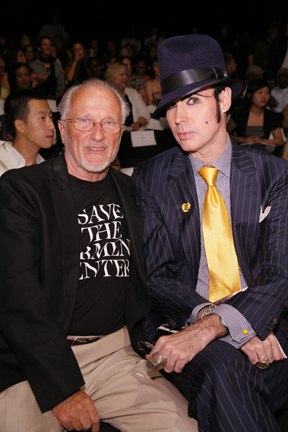 The dandy Patrick McDonald (right) sits next to former CFDA President and designer, Stan Herman at an Academy of Art University fashion show during New York Fashion Week. Photo credit: Randy Brooke. 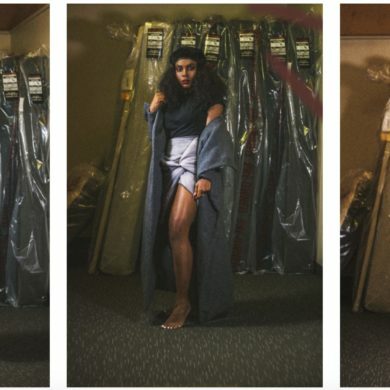 Fashion School Daily asked our favorite dandy, Patrick McDonald (front row at all our New York shows! ), to list his top five “dandy” survival items for Mercedes-Benz New York Fashion Week. Adhere to this list and you just might be as dandy as Patrick – but we seriously doubt anyone could be as cool as him.